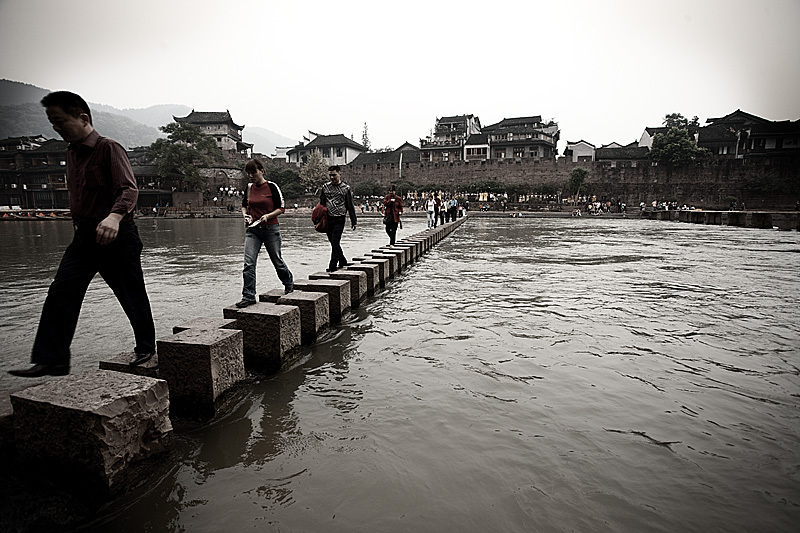 Chinese tourists use a slightly unsafe footbridge to cross a river. The footbridge is a drawing point for tourists to this village but in the 4 days I spent at Fenghuang, I personally saw 3 people fall into the river. Bruised egos aside, no one was injured.